I honestly don't even know where to start with this wedding. 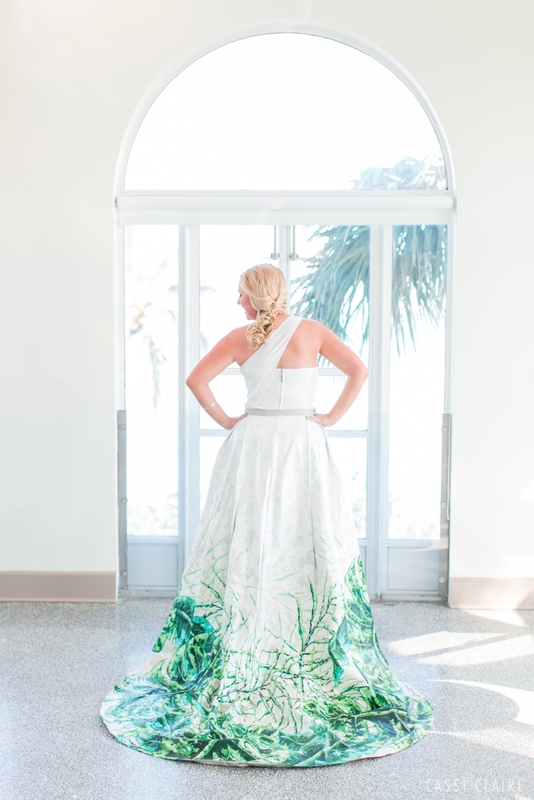 The bride, Kristen Alyce, is the founder of Vivre Canvas Couture - an inspired line of wearable original paintings. But before that, she was my best friend. We navigated those awkward teen years together and she stood beside me as I married Chris almost 7 years ago. To be able to celebrate with Kristen and her family (my second family) was pure magic. 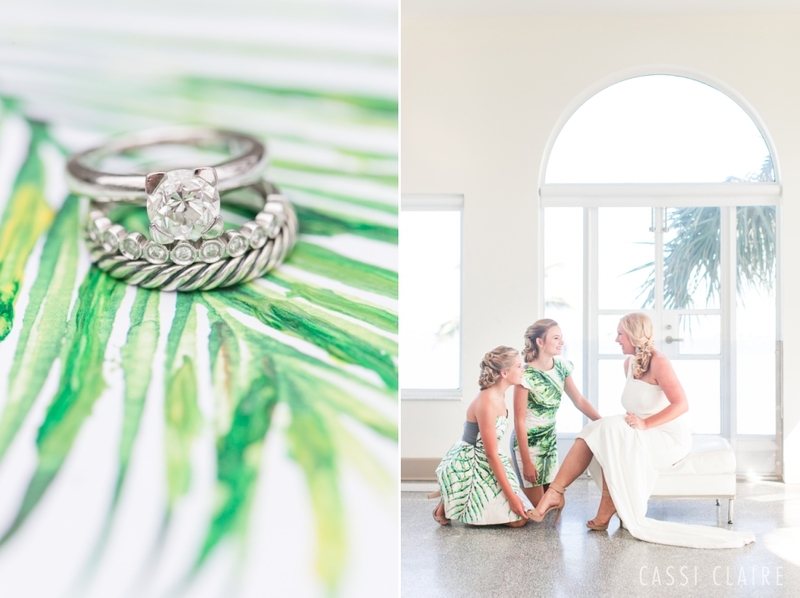 Knowing Kristen for as long as I have, I knew this wedding would be nothing short of AMAZING. Kristen doesn't believe in the word 'no' and dreams bigger than anyone I've ever known. So when she told me she set out to design and create not only her own wedding gown, but the gowns of her TWELVE bridesmaids...I couldn't grab my camera fast enough!!! These pieces of art surpassed all expectations! 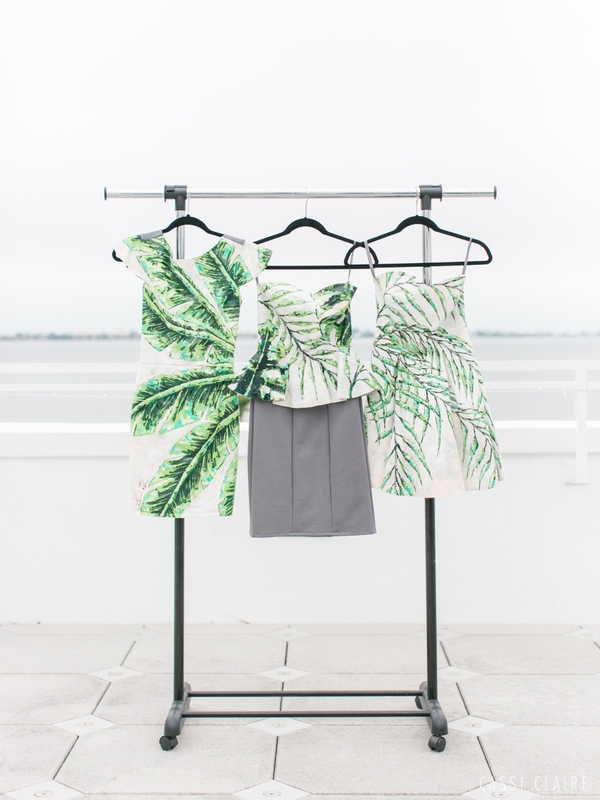 The collection was inspired by South Florida paradise - monstera leaves, banana leaves, palms, plumeria, ferns - all added to the fabric by Vivre Couture artist Amanda Wilson. Each dress, a mix of canvas, acrylic, and thick grey fabric, took more than 30 hours to create. 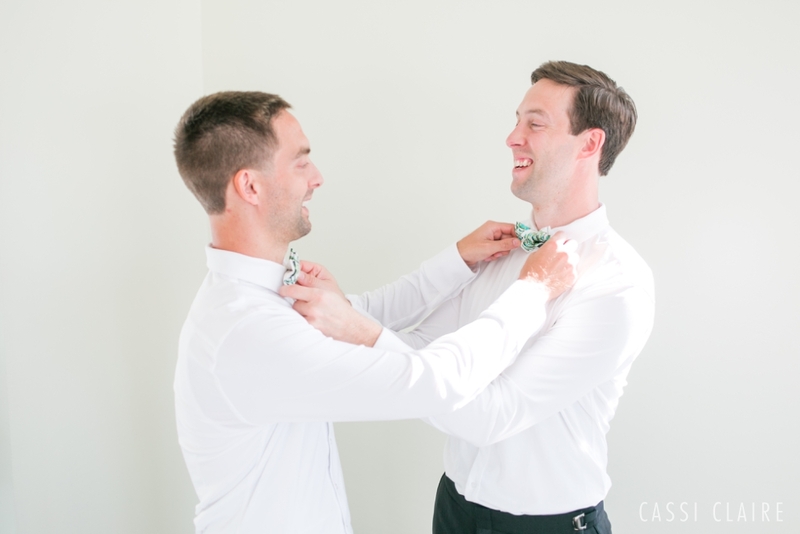 And Kristen couldn't leave out the guys...each groomsman had a custom painted canvas bowtie to match the ladies! 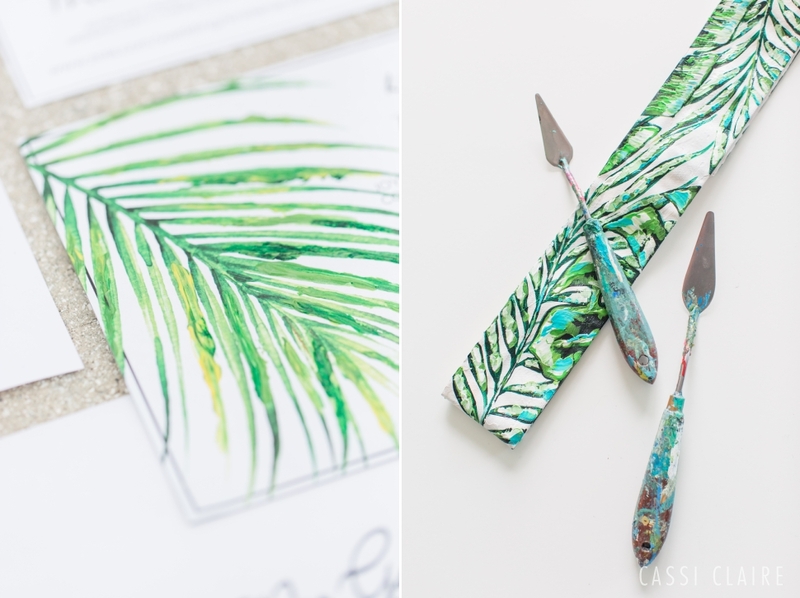 The wedding as whole was very modern, using almost zero color, with stainless steel accents, tropical leaves, and an all white reception space. Just wait until you see their CLEAR tent at sunset! It wouldn't be a proper South Florida wedding if there wasn't at least one baby lizard in sight! This one decided to camp out in Kristen's bouquet most of the day - he became her little wedding buddy! Each dress was made for the bridesmaid’s individual style and personality. Styles ranged from asymmetrical, peplum, pleats, strapless, tank, halter, capped sleeves, and even a high-low hem! 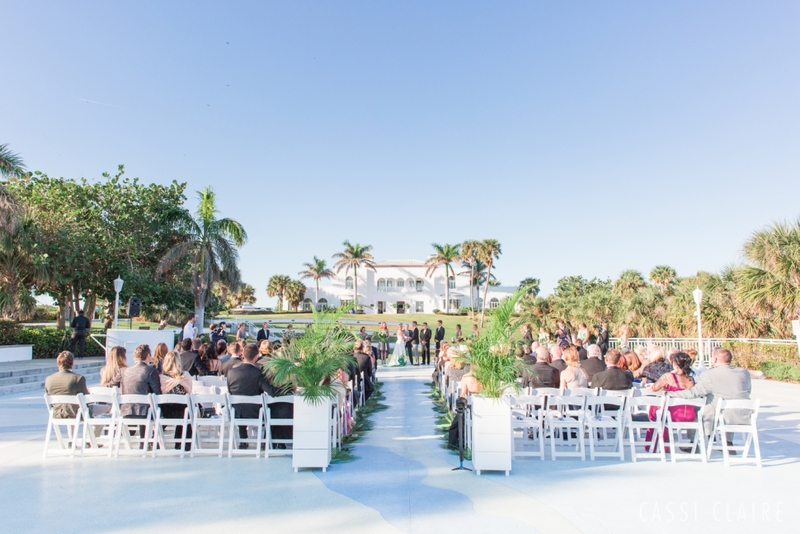 Kristen and Roel were married at The Mansion at Tuckahoe, a historic Martin County venue overlooking the Intracoastal Waterway. Seriously, does it get more beautiful than this?! “He makes me a better person every single day in every single way,” Kristen says. 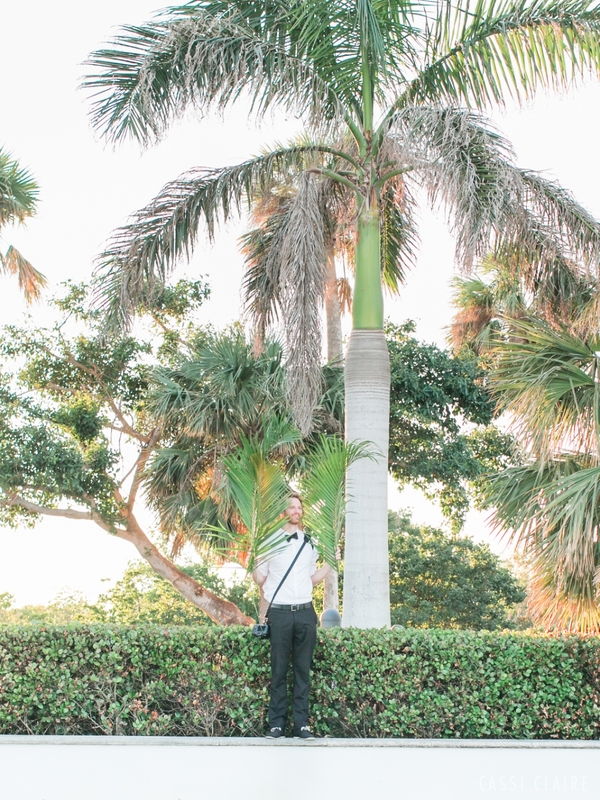 When Chris LIT-trelly becomes a palm tree to create shade for "the shot!" 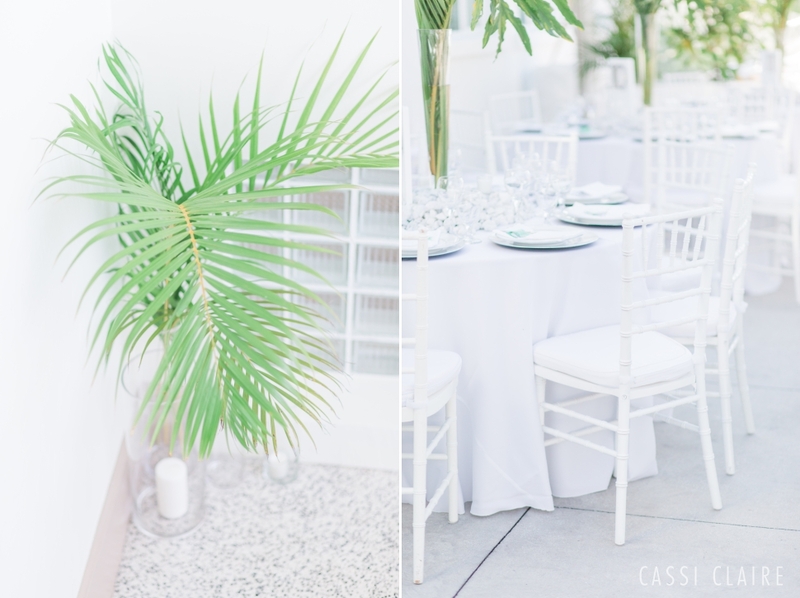 The centerpieces were tall palm leaves surrounded by white stones, and the tables were topped with white linens, stainless chargers, and silver accessories. All of the leaves were sourced from friend's yards! I could live in this sunset! joyful, romantic, and timeless photographs.